Hosting an event? Let our team at Clifton Water Trucking help. We proudly assist in party and event planning with our convenient water services. 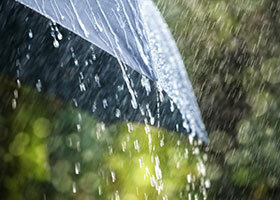 Our water services are utilized by many major corporations throughout the area. Because of our fast delivery, friendly service, and quality water, we are sought after by a wide variety of homeowners and businesses. Below, we have outlined three of our most recent events to give you a small taste of what we’ve done. Contact us to learn about our many other events and services. Google reached out to our team to assist in supplying bulk water for one of their major corporate events. For this outdoor event, we supplied barrels of water to keep tents in place throughout the night. Netflix reached out to our team to assist in party prep. 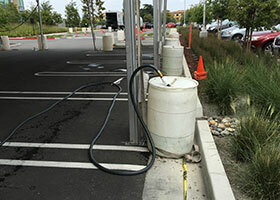 To accommodate their luxury restroom trailers, we supplied both drinking water and water used for heating and cooling. Skywalker Ranch is a owned by major Hollywood director George Lucas. Our team supplied large amounts of water to the ranch that was used for rain, indoor pools, and other exciting elements for filming. 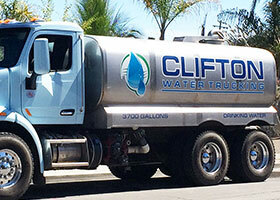 Clifton Water Trucking supplied bulk water for the Russian River Mud Run event. The water was used for some obstacles, as well as for the racers to shower off.